Your first 12 months of LifeLot for FREE! Sign up now using these simple steps.. Your family. Your friends. Your advisors. The people you choose to view your lot – either in part or in total – are entirely up to you. Delegates are the most trusted people your life, and your information can be shared with them in certain situations. 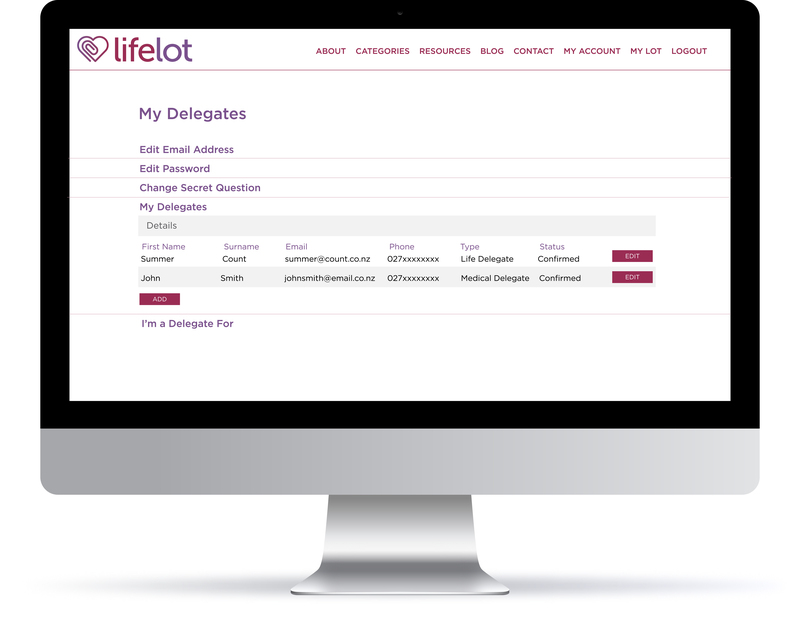 In a medical emergency or if you have a terminal illness, a delegate can securely access the My Medical section of your LifeLot account. which includes your Advance Care Plan. Protecting your data and keeping it private and secure is paramount. LifeLot goes above and beyond when it comes to keeping your information secure. Our online digital safe uses two-step verification, IP detection, bank-level SSL certificates and AES 256-bit encryption. Still unsure whether you will benefit from a LifeLot account? Try out a no obligation trial by checking the 'I want a 30 day free trial' box.